Helping individuals make sound economic investments in their homes and businesses. Local solar development resulting in installations that fit the landscape and make economic sense. 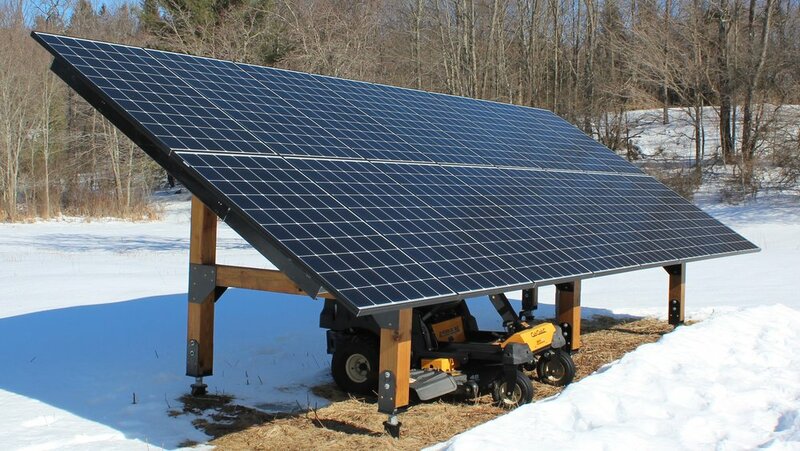 SustainableVT provides a variety of solar services from design to installation. Our goal is to educate our customers on solar technology, performance, and financing so they can be sure that they are making sound economic investments. We have solutions to fit all levels of income and will work with customers to find the best solution that fits their energy and financial needs. We offer a full range of installation packages as well as design and consultation services. We also offer customized Do It Yourself(DIY) Packages which allows customers to provide some or all of the labor to further reduce the project cost. We provide maintenance on existing systems and review existing installations for code compliance and quality. If you have ever thought of looking into solar, or have in the past but found it was too expensive- give us a call. Learn more about solar and why now is the time to sign up! Ready to take the next step? Contact us to talk about solar for your home or business.